On Late Bloomer's third full length, Waiting, the band have truly come into their own with an achingly human record that explores the crushing uncertainty of adulthood through a mix of hook-driven guitar rock and punk urgency. The album centers on ever-changing perspectives, with all three members contributing to the writing process to utilize their personal narratives, as well as points-of-view completely outside their own. Fucko is an alternative-pop band from Boston, MA. Made up of siblings Sarah and Jacob Desmarais and friend Derek Desharnais, Fucko was formed in fall of 2013 and released their first LP, Dealing With The Weird, on Black Numbers in 2016. Taking queues from Black Tambourine, Nirvana, That Dog, Tiger Trap and The Breeders, Fucko’s sound is driven, simple and reminiscent of the early-90s alt-rock era. They've just finished writing and recording LP #2 with Justin Pizzoferrato and are spending the rest of 2018 touring. sleeping in is a four-piece shoegaze / fuzz pop project based out of Burlington VT. sleeping in formed in the early summer of 2014 after a brief conversation between strangers at a music store, in 2015 they released a 4-song EP sleepy ep and in 2017 their debut LP, let you in. Despite a handful of line-up changes throughout the years, the band's maintains a solid foundation. let you in arrives heavy in its approach, with themes of ongoing battles with depression, anxiety, growth, and coming to terms with the past. sleeping in holds onto lush instrumental melodies reminiscent of Hum and Smashing Pumpkins, sprinkled with laconic lyrical queues of similar character to Swirlies and Dinosaur Jr. They are planning to spend their 2018 touring and finishing up a handful of new projects. 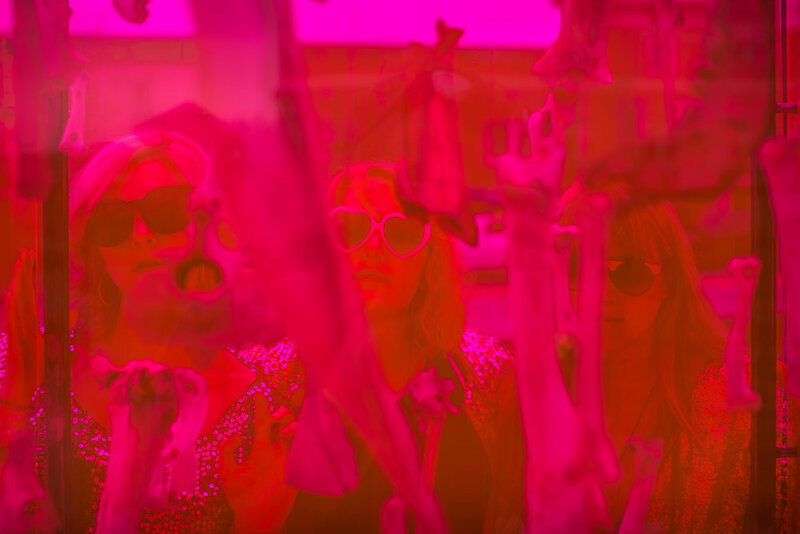 Hailing from the backwoods of New England, Jessica Rabbit Syndrome members Ali Evans, Cate Tobin and Amy Wild cross state lines to bring you freakiness that extends beyond a full moon Friday. The JRS sound is inclement weather, psychic renderings, and dark magic moments, wrapped up in a glittery blanket of attitude.